Alexander encourages handling finances and investments in a sensible, straightforward, principled way. He talks about the psychology behind speculating often manifesting as overconfidence or, in some cases, an addiction. Listen at: www.JasonHartman.com. 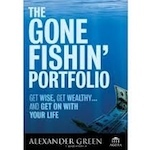 Alexander Green is the Chief Investment Strategist of Investment U and the Investment Director of The Oxford Club. A Wall Street veteran, he has over 25 years’ experience as a research analyst, investment advisor, portfolio manager and financial writer. Under his direction, The Oxford Club’s portfolios have beaten the Wilshire 5000 Index by a margin of more than 3-to-1. The Oxford Club Communiqué, whose portfolio he directs, is ranked among the top investment letters in the nation by the independent Hulbert Financial Digest. Mr. Green has been featured on “Oprah & Friends,” Fox News, “The O’Reilly Factor,” CNBC, MSNBC and C-SPAN and has been profiled by The Wall Street Journal, BusinessWeek, and Forbes among many others. He currently writes and directs the twice-weekly Oxford Portfolio Update and three short-term trading services: The Momentum Alert, The Insider Alert and The Pacific Advantage Alert. Mr. Green has also written three national best-sellers, including The Gone Fishin’ Portfolio, The Secret of Shelter Island and Beyond Wealth: The Road Map to a Rich Life.